"Sampath Speaking" - the thoughts of an Insurer from Thiruvallikkeni: MRTS halts at Mundaka Kanni Amman Temple station from today !! MRTS halts at Mundaka Kanni Amman Temple station from today !! Me in my usual hurry got in to the MRTS train at Triplicane around 08.00 am … before 08.05 there was a little surprise ! This famous place in Chennai (Madras) predates British rule by several centuries. It was historically known as Vedapuri. As the available historical and archaeological evidence shows, it could well be the oldest part of Chennai, with written records of early settlements going back to the first century BC. It was known for its ancient port with a flourishing trade with the Roman Empire, receiving gold in exchange for its products like pepper and fine cloth. Marco Polo visited the place in the late 13th century, and the Portuguese settled here in the early 16th century….it is Mylapore..
Thirumayilai ~houses the famous Kapaleeswarar Temple. The temple tank is very prominent as also the mada veethis. There is Adhi Kesava Perumal Temple and its Chithirai kulam. Nearer Sanskrit college, you have many more Temples – Appar Swami temple, Sri Madhava Perumal Temple, Sri Anjaneyar temple, Mundaka Kanni amman temple, Karaneeswarar temple and more… on the beach stands century old Santhome church too. Mylapore is a cultural hub having many sabhas where carnatic music and barathanatyam has flourished. Legend has it that the word Mylapore is derived from Mayil arparikum oor, which means "Land of the peacock scream”…. and this post is something about a new occurrence in the area. 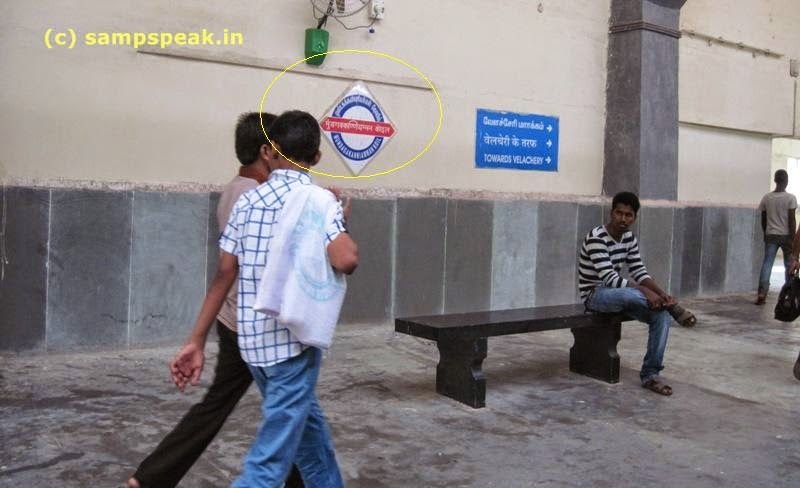 The station derives its name from the Temple in the same street where the Station too is located … the Ambal ‘Mundaka Kanni Amman’ is swaymbu (risen on its own) appearing with twin arms donning serpent crown. Mundakam means lotus flower. There is the Banyan tree behind Ambal’s sanctum. Those who pray to her offer turmeric, sandal, saffron powder, kaappu and also annabishekam. The new station ‘Mundakakanni Amman Koil’ railway station is located between Thirumailai and Light House railway stations and is behind Sanskrit college. The station was constructed by Southern Railway reportedly at a cost of Rs. 20 crore. The Station has a booking office too which will function during the operation of all the train services in the section. Already there is criticism that the stations in the MRTS line are too proximate to each other – now this is much closer to Thirumayilai station and perhaps, the train would come to a halt as immediately as it leaves Mylapore station…… but sure would serve more residents of the locality. Happy travelling – though this could mean adding couple of more minutes to the existing travel time.